This is it! The remnants of that red & cream Fabriano sketchbook! It was a good book: highly recommended, albeit kind of short. I've got a new one now, another Fabriano. I'll take pictures of it too and post them later. 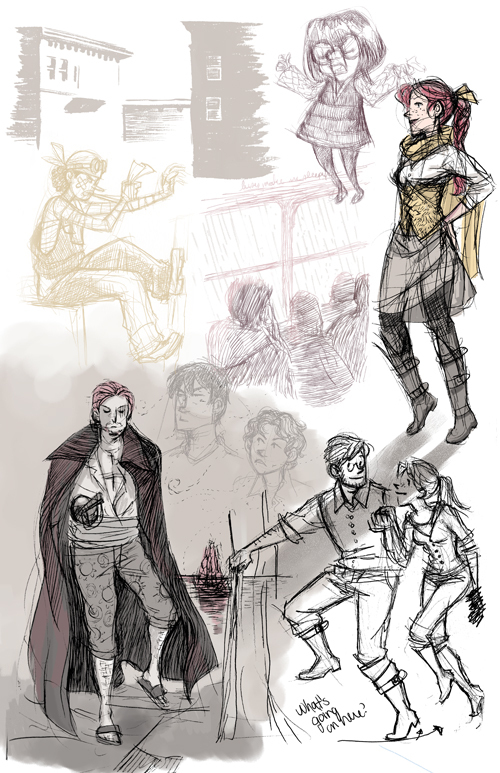 This sketch page features the usual assortment of my own characters, an Edna Mode near the top there, and two of my favorite One Piece characters on the left. The buildings in the upper left and the people on the bus in the middle are observational.